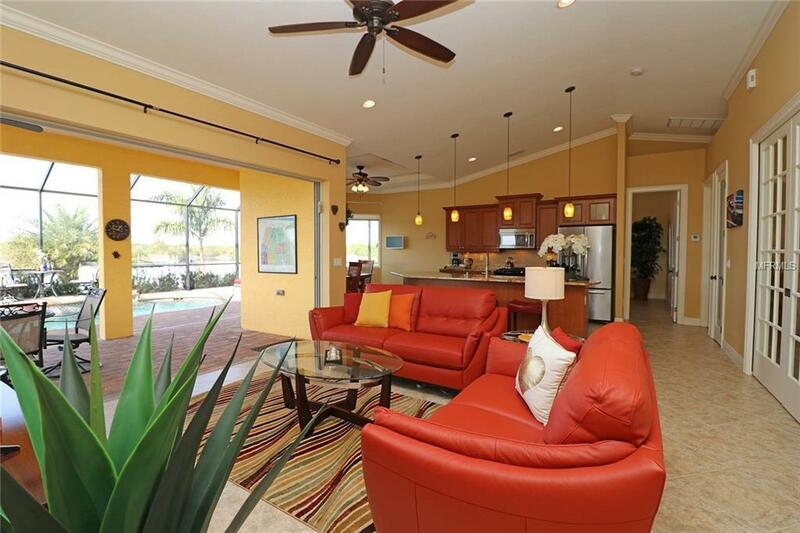 TURNKEY FURNISHED SAILBOAT WATER POOL HOME in much desired Section 93 in South Gulf Cove. Shiny and new 3 Bedroom / lg. Office / 2 Bathroom / heated Pool & Spa contemporary Waterfront Home where elegance and comfort surrounds you. 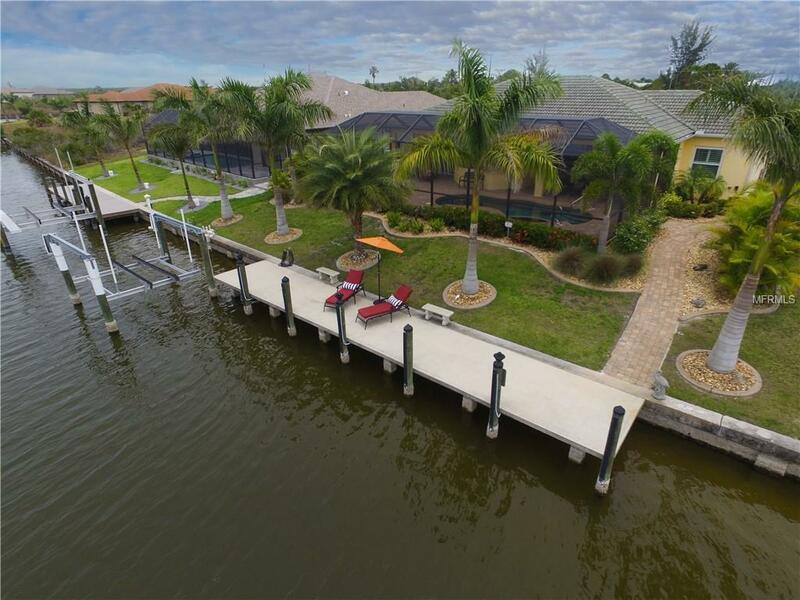 Sweeping intersecting canal vistas, concrete seawall , 8x50 ft. deep water concrete boat dock & boat lift . 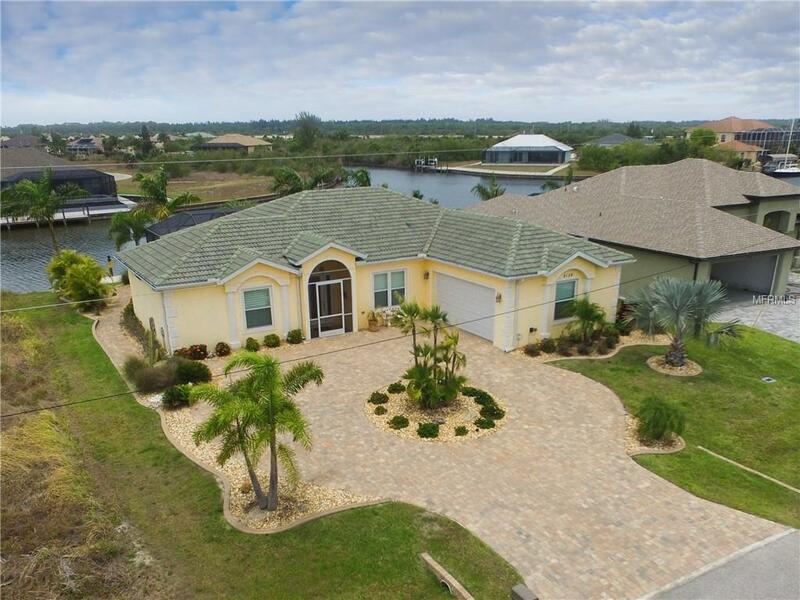 This 2013 built home offers exquisite features such as 6 ft. deep saltwater pool with Spa and 2018 new electric heater, large paver coated lanai & sundeck, pool bath. Spacious dining with aquarium window, kitchen with wood cabinetry, level 5 granite counter & island, stainless steel appliances, living area with back lit tray ceilings, triple 8 ft. glass sliders to paver pooldeck. Gorgeous quality Furniture new as of 2017. Terra cotta red leather sofas, side board with electric fire place, TV. Master suite with King bed, dresser, nightstands, 2 walk-in closets & TV. Bath with dual sink & shower. Bedroom 2 & 3 with tray ceilings, each with Queen bed, nightstands & dresser. They share a bath. Tiles thru-out, 8 ft. interior doors, central vacuum, mature tropical trees, concrete curbing, irrigation. Added elecance thru tiled roof, circle paver drive way, side garage, volume ceilings w/crown molding, central vacuum system, security system, whole house impact windows but glass sliders. Home was only occupied seasonally so like new. Close to everything you'll want and need.